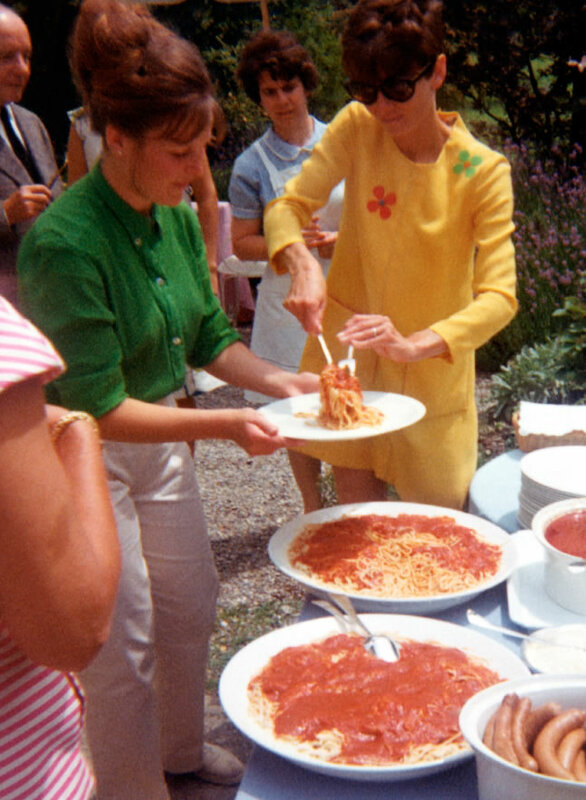 Today we’re sharing a recipe for Spaghetti al Pomodoro from Audrey at Home, a new unique biography about Audrey Hepburn compiled by her son Luca Dotti. 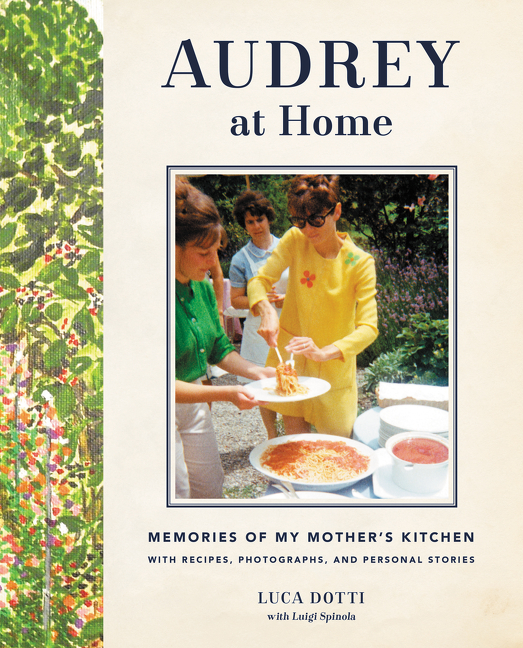 Audrey at Home combines recollections, anecdotes, excerpts from Audrey’s personal correspondence, drawings, and recipes for her favorite dishes written in her own hand, and more than 250 previously unpublished personal family photographs. Audrey at Home offers fans an unprecedented look at the legendary star, bringing together the varied aspects of her life through the food she loved—from her childhood in Holland during World War II, to her time in Hollywood as an actress and in Rome as a wife and mother, to her final years as a philanthropist traveling the world for UNICEF. Purchase your copy of Audrey at Home from your favorite retailer. Lower the heat to medium-low, and add the basil leaves and a drizzle of oil. The tomato sauce is ready when, as they say in Naples, “pipiotta,” in other words when the bubbles are no longer made of water but rather small craters of sauce. Remove from the stove, remove the largest vegetable chunks, and allow the sauce to cool. A stainless steel food mill—the hand-operated type—is necessary once the cooking is complete, in order to transform the tomato sauce and pieces of vegetables into a puree of the right consistency. It will also remove the bitter skins and tomato seeds. To cook the spaghetti al dente, fill a large pot with cold water and place over high heat. When the water comes to a boil add a handful of coarse salt and the pasta, without breaking it. Mum also loved pasta all’amatriciana. The classic version is prepared by cutting some guanciale (cheek lard) into small strips and browning in a small skillet until crisp. If guanciale is not available use pancetta or bacon. Add to the pureed sauce and simmer over low heat for a few minutes. Mum’s version was lighter; she used prosciutto crudo instead of guanciale, and once it was browned, she blotted the fat using paper towels. ← Salad as a Meal by Patricia Wells is just $0.99 until July 1st!